This set is CLEAR. Open Book Stamp Set by Melanie Muenchinger. 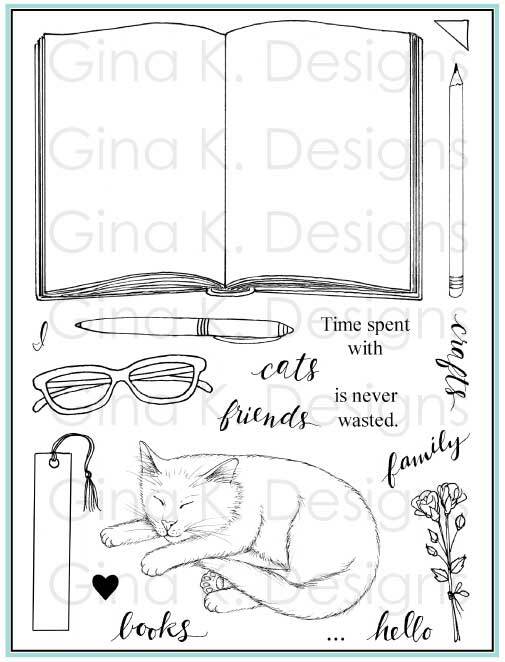 This set measures 6" X 8"This beautiful open book stamp is a blank slate for any stamping, coloring, painting, drawing, paper piecing or journaling you may want to do and is large enough to fill an A2 size layout, making it a must have for book lovers and crafters of all types! You’ll have endless fun creating for all occasions with the sleeping cat and other book and craft related elements and greetings. 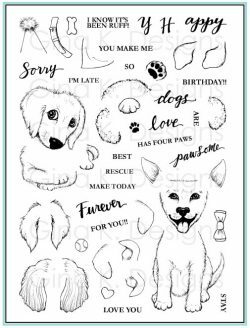 10 Images and 9 sentiment options for a total of 19 stamps. The book measures 3 3/8” x 4 7/8” and fits perfectly on our 4x6” acrylic block. The cat measures approximately 2 ¼’ x 3 3/8” and fits on our 3x4” inch acrylic block.